Katharina was put in a mental institution in 1907 after supposedly sabotaging a railway line as a political protest. Before the Nazis murdered her (as a part of Nazi euthanasia program) in 1941, she wrote a play, tried to establish a home for babies, protested against the way the inmates were treated, and created miniature figures out of bread dough she probably chewed herself. 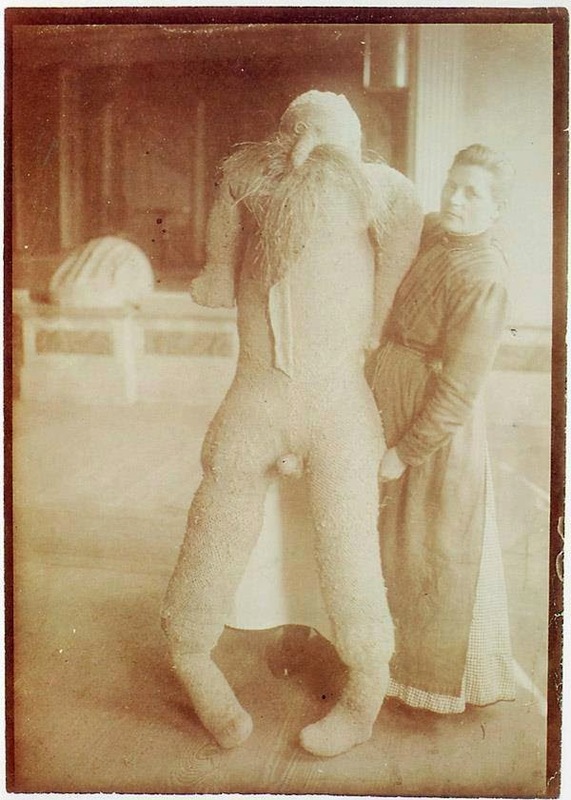 Katharina also made a life-sized male doll out of the mattress ticking and straw from her bed, which she’d pummel when she was angry or dance with when she felt happy. This male gave her the surrogate love she needed in the institute.